Fresh off our comprehensive overview of the best maximum-wattage mods, we’re back to pass a little more positive judgment. Because, while breaking down the big boys was fun, most of our readers own mid-wattage vape mods – those 150-250-watt devices that offer users the perfect balance of power and portability, usually in a dual-18650 cell chassis. There are a LOT of devices that can be classified as mid-wattage vape mods – and we’ve had the distinct pleasure of reviewing some of the best ever. This best-of listwas difficult for our team to compile – everyone has their favorites. Everyone has their go-to mods. And everyone had different reasons for voting the way they did. In the end, we think this list represents a good cross-section of devices that bring top-tier performance, at prices appropriatefor this category. There are countless others that nearly made the cut (and we’re sure you’ll let us know about them on our social media pages) but these are the ones that make us smile the most. And isn’t vaping about enjoyment, after all? There are a few unexpected entries on this roundup of our best mid-wattage vape mods, but the Kanger Pollex might be one of the most surprising. Not because of the lineage – KangerTech remains a pioneer in this industry. Not because it’s an internal battery 200-watt device – cell technology improves by the day. It’s not even because it’s a touchscreen, which often masks a lack of performance under the bells and whistles. No, the Kanger Pollex made this list because it offers a legitimate 200 watts of power, easy operations, and a slender, ergonomic profile, all inside one of the lightest vape mods I’ve ever used. In fact, if the built-in 3,500mAh battery had just a littlemore capacity, the Pollex might be the only device I take with me on the road. The performance is just that impressive. Despite the lack of heft, users will dive right into the streamlined touch-enabled menus, setting accurate temperature and resistance levels, making wattage changes on the fly, and enjoying some surprisingly fast-ramping power from a mod that feels almost HOLLOW. Is the Pollex a mid-wattage vape mod I’d want to drop on a concrete sidewalk? No. But it’s on my shortlist for mods that fit into my pockets without sacrificing performance and power. And it should be on yours, as well. My feelings about the 220-watt Tesla Punk can actually be summed up by the two minimal complaints I had about this commanding mid-wattage vape mod. Because my only complaints about this steampunk-inspired beauty were a quirky battery door, and an oddly positioned LED light button. If those were the extent of my critiques, then it’s safe to say the stylish Tesla Punk is a lot more than eye candy – it’s a genuinely good mid-wattage vape mod. Underneath the bold, three-dimensional design, the stunning glass side panels, and the durable zinc alloy frame lies the heart of a high-end device. The Punk ramps powerfully and smoothly with virtually any atomizer, had flawless temperature control and TCR functionality, and features truly distinct preheat settings for further customization. Is it heavy? Yes. Is it gaudy? Perhaps to some. But for a dual-18650 mid-wattage vape mod, there aren’t many that meld fantastic performance and top-flight style quite like the Tesla Punk. You didn’t think the ever-prolific SMOK wasn’t going to make this list of best mid-wattage vape mods, did you? In the time it took me to type that sentence, they probably just released four more! 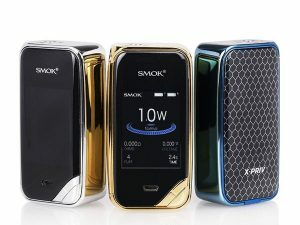 But for all the devices we’ve reviewed from SMOK this past year, none have floored me quite like the all-new 225-watt X-PRIV mod – arguably the most sophisticated and mature offering they’ve created to date. On the surface, the X-PRIV makes an immediate impression with a tall, slender profile, highly polished chrome and alloy frame, and an attractive honeycomb pattern rear panel. But when the X-PRIV turns on, and the updated display and menu system grabs your attention, you’re seeing the result of a company hitting on all cylinders. And the product of an already-cool design reaching its full potential. With a refined menu system, discreet operation buttons and a crystal clear, customizable display, users will quickly have the dual-18650 X-PRIV up and running. The mod ramps quickly, is equally impressive at low or high wattages, and offers flawless temp control performance. While I know this isn’t the case, the X-PRIV almost feels like SMOK’s last 15 mid-wattage vape mods were “practice rounds” – high-functioning, but often flawed devices that usually had a few glaring missteps. With the X-PRIV, I feel like the company got it all right, and I only hope they continue building upon this very impressive mod. Very rarely are mid-wattage vape mods described as “rugged” – at least not the ones that offer performance equivalent to the brawn. 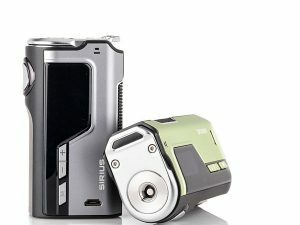 But the Modefined Sirius is another balanced, versatile mod from a company that is making a strong case to be considered a MAJOR contender in the vape industry. The Sirius’ intelligent chipset can hit 200 watts with ease, without a drop of excess heat or stuttering. And the unique menu setup and three-button control scheme means even the greenest of newcomers will have the Sirius up and running in seconds. The mod’s top-tier wattage, temperature control, TCR and bypass modes give vapers plenty of customization options, with a level of precision and error-free performance usually reserved for mods costing twice the price. Like I mentioned in my review all those months ago, the Modefined Sirius might not be “perfect.” But as a complete package, the Modefined Sirius is easily one of the best combinations of form, function and quality I’ve seen, and I cannot recommend it enough. 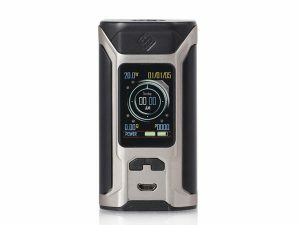 One of the best Mid-Wattage Vape Mods from WISMEC Yet! Though we’re not really structuring this list as a countdown to the top mid-wattage vape mods, when we started asking “which one is best?” one name always came up – the Wismec Ravage 230. And with good reason – the Ravage gets more use than most of my growing collection. Wismec was already on a good path with the Predator and Sinuous mods, but the Ravage introduces a more compact form factor, faster ramping, great battery life, and a fantastic 1.45-inch TFT display to make this the company’s new flagship. Of course, the Ravage is a legitimate 230-watt device (it wouldn’t have made this list if it wasn’t), but it does it with better battery efficiency than most mods in this category. And if you vape at more reasonable levels (<100 watts), expect near-all-day longevity from your cells. But despite the aggressive name, the Ravage also has a surprising amount of delicacy, through flawless, easy-to-use temperature control. The updated menu system and gorgeous display round out an already complete package. In fact, I use the Ravage so often, I’m starting to wonder if it’s time to give some of my other mods the “pay it forward” treatment. 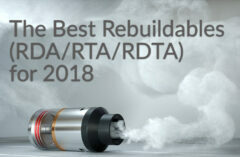 While this entire article can be considered a “shortlist” of best mid-wattage vape mods, the Wismec Ravage would be on a much shorter one, as well. For all the DNA devices we review each year, it’s a bit surprising that only one made this list of mid-wattage vape mods. It seems like most of the DNA dominance happens below 100 watts, so when a 150-250 watt DNA mod like the Lost Vape Paranormal comes along, we take notice. And months later, we’re still noticing just how good this device really is. Built off Evolv’s premier DNA250 chipset, but downthrottled to a 167-watt maximum to optimize efficiency, the dual-18650 Paranormal is a shining example of what can happen when power is tempered with precision, grace and undeniable style. My leather- and carbon-wrapped beauty (just one of countless designs) seamlessly offers unique looks and stutter-free performance with virtually any type of coil. In addition to the famous DNA temperature control performance, the Paranormal also brings some of the smoothest ramping power you’ll find, with nary a pulse or hiccup to be found along the way to 167 watts. Because it’s downthrottled, the Paranormal hits its maximum wattage with ease, and never blinks – even under heavy use. Of course, the Paranormal is compatible with the Escribe platform, for unprecedented control over heating curves, TCR settings and any other tweak imaginable. But I found that the mod is actually pretty dialed-in, right out of the box, with onboard adjustments proving to be more than enough to craft my perfect vape. While the DNA board isn’t for the timid, and a steep learning curve exists for those used to more visual displays, the chipset is nonetheless a winner for a reason. And once you get the Paranormal set to where you like it, you’ll see why so many people clamor for one in their collections. Oh, and we’ll soon have our Best DNA Vape Mods for 2018 up for you. Like we mentioned in the Kanger Pollex section above, touchscreen devices are often a tough sell to those seeking mid-wattage vape mods, simply because they often can’t get out of their own way. By this, I mean they can be clunky, perform awkwardly, and offer no noticeable improvement of the vape experience. The Hcigar Towis is a device that could change this perception. 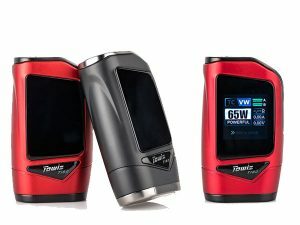 With a unique, curvy, entirely ergonomic shape, the 180-watt Towis is designed to be used, not just act as a touchscreen device that also vapes. This dual-18650 device has a nice-sized display that is large enough to justify the touch mechanics, but compact enough to stay out of the way when operating. While the touch controls aren’t expansive, they’re simple to learn, easy to remember, and make temperature and wattage adjustments an absolute breeze. Plus, the Towis is also a tremendously fast-ramping mod, and is ideal for vapers who aren’t as concerned with precision temperature control as they are with effortless power. The fully fleshed TC suite works well, though – so well, in fact, that you’ll probably be able to overlook the missing TCR functionality. If you’ve avoided touchscreen mods in the past because of size, awkwardness and overall lack of usability, take another look at the Hcigar Towis – you might just be floored how well a simple interface can enhance the user experience. 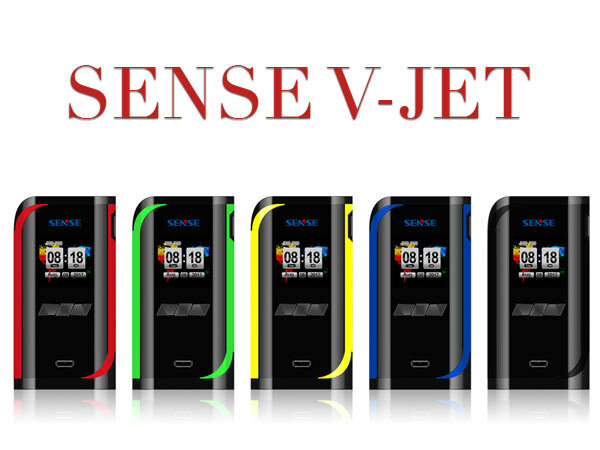 When we reviewed the Sense V-Jet mod a few months back, we were in cynical moods. After all, Sense is known for vape tanks, not mid-wattage vape mods – why should we pay any attention to this one? But, no matter how jaded we tried to be, we simply couldn’t find much to gripe about. That’s because the V-Jet is a rock solid, amazingly priced, and uniquely attractive mod that deserves a lot more attention than we cynics initially gave it. 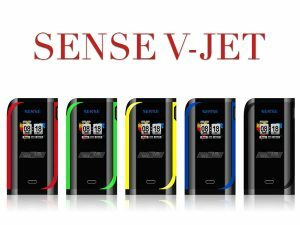 Designed with simplicity in mind, the dual-18650 Sense V-Jet mod represents a nice balance of portability and power, as it’s capable of 230 watts of output, in a lightweight, slender format that fits great in a pocket or purse. And the modern four-button interface ensures navigating the proprietary menu system is both intuitive and user-friendly. Under the hood, the vibrant, full-color TFT display is powered by the SVL (Simple Vape Life) chipset, which is both intelligent and efficient, bringing a soup-to-nuts temperature control suite, extensive protection measures, TCR and TFR adjustments, making this one of the most-versatile devices on shelves today. 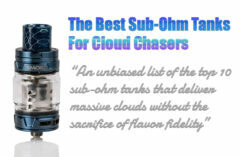 The included V-Jet tank only sweetens the deal, but don’t buy the Sense V-Jet because of a tank and coils. Buy it because it’s a truly different, high-performing mid-wattage vape mod that will only improve any collection. At first glance, the Vaporesso Switcher looks like nothing more than a gimmicky mid-wattage vape mod. With replaceable sleeves to change the look and feel of the mod, it’s easy to see why. But those thoughts quickly faded away once we gave the Switcher a deeper test, we realized that the Switcher is now a flagship device for Vaporesso – one that further cements the company as a leading device manufacturer. 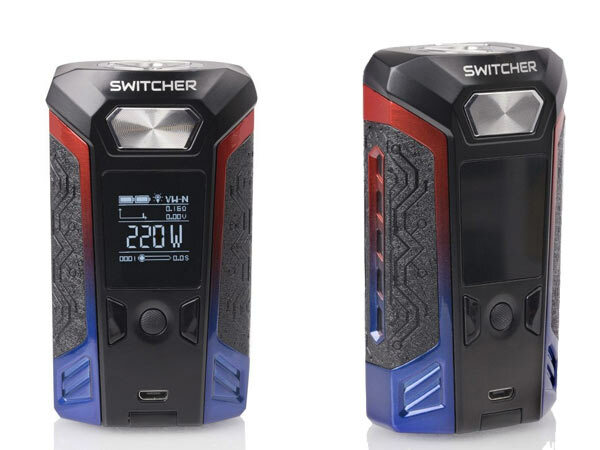 The dual-18650, 220-watt Switcher is pretty damn attractive, due in large part to its futuristic design, bomb-proof zinc alloy construction, and a solid, hefty feel to the exterior. But on the inside, things are even better. Because, even though I would have liked to have seen a more modern display, there’s no denying the reliability of the OMNI 2.6 chipset. Not only does the board offer 220-watt power on two 18650 batteries, but also a full temp control suite, smart wattage detection, TCR settings, bypass Mode, custom heating curves, protection measures and more. Thanks to the three-button control scheme, accessing and navigating the simplified menu system is a breeze. All customization and adjustment options are clearly laid out in horizontal “trees,” with little confusion to be had about proper button presses or the ever-present “where do I go next?” It’s all very straightforward and user-friendly, even for newcomers. More importantly, the Switcher just flat out KICKS in both power and temperature control modes, with no hiccups at any level. It might be larger than most mid-wattage vape mods. It might not be the most modern operating system, but the Switcher offers performance that easily makes up for any visual shortcomings. We started this roundup of the best mid-wattage vape mods with a surprising entry, and we’re going to end it that way, as well. 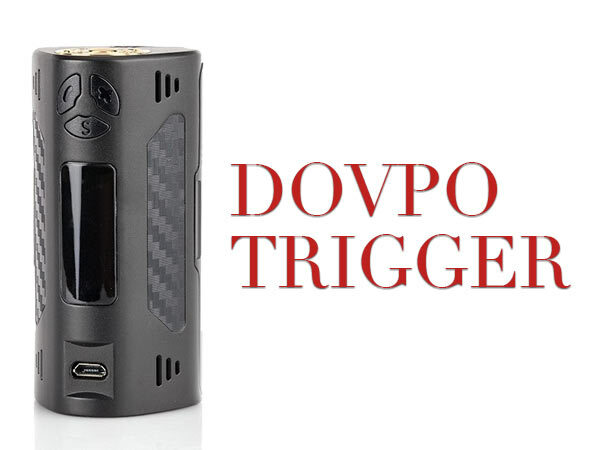 This is because – despite our glowing A+ score – the Dovpo Trigger 168-watt mod flew largely under the radar in 2017. And it’s a shame, because not only does the Trigger continue to stand out in my collection, but it has largely changed how I viewed Dovpo as a company, and as a market contender. First off, it’s beautiful and a pleasure to operate. It looks mature, distinguished and adult – something I wish more mod designs aimed to achieve. There are subtle uses of lighting and carbon inlays, but never to the point of gaudiness, and never at the expense of comfort and usability. But, what stands out the most about this compact, ergonomic powerhouse is how it isn’t designed to change the way you vape. It doesn’t want to teach you a new interface. And it doesn’t want performance to suffer in the wake of LED lights, touchscreens and other minutiae. It just wants to be your new all-day, everyday vape mod. With 168 watts of output, the dual-18650 Trigger isn’t the most muscular mod on this list. But it doesn’t have to be, because I got better performance and power from the Trigger at lower wattages than other mods ever offer, even when cranked to their maximums. The smooth, stutter-free power flow never hesitates, and ramps-up quickly. The comprehensive temperature control is equally strong, and offers the same levels of performance, all the way to its 600-degree limit. Months ago, I went into the Dovpo Trigger review expecting the worst, and was thrilled to be so wrong. I ate a lot of crow after giving it an elusive Spinfuel VAPE A+ grade, and I regret none of it. Today, the Dovpo Trigger might be the mod I recommend the most, and also the one I turn to the most when I’m seeking an effortless, no-nonsense, completely enjoyable vape experience. 218W and every ounce a champ! Yes, we know that too many choices just create more confusion, not less. You could spend days on your favorite vendors website and still not decide which one is going to serve your needs. That’s the reason we narrowed the choices down to these Mods. The best vape mods based on function, value, price, durability, accurate chipsets, and vape satisfaction. But, we just had to add one more. The Smoant Cylon 218W Mod. A gorgeous Mod that is priced out of so many mainstream Vapers that the number of units out there in the vape community are few. The reason? The price. The SX Mini is more than $200. 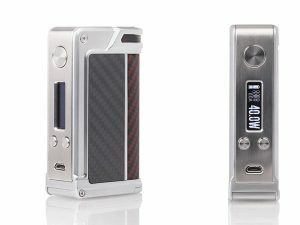 But the latest vape mods from Smoant, includes the wonderful Cylon 218W TC Box Mod, a Mod that has nearly the same aesthetic beauty of the SX Mini, plus an additional 18W of power, a rugged chassis design and the integration of the surprisingly accurateAnt218 V2 Chipsetand a beautiful 1.3 Inch TFT display with full-color IPS HD resolution. Yet, the price is ¼ that of the SX Mini by YiHi. 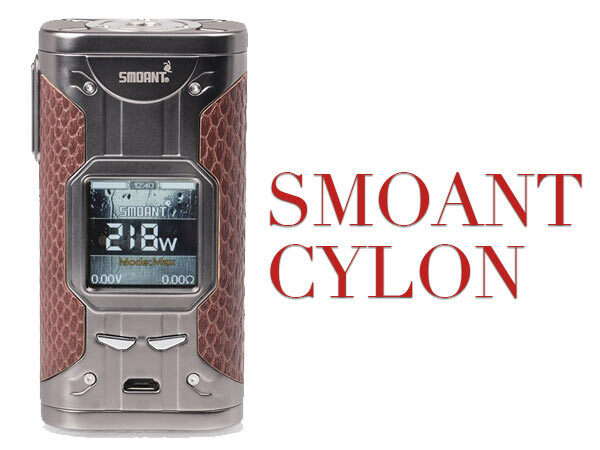 The Smoant Cylon 218W is constructed of a very sturdy Zinc Alloy shell and high-quality leather (grip) that creates the same high-end look and feel of the SX Mini. 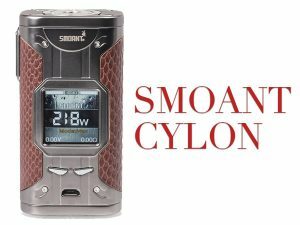 The Smoant Cylon is an advanced, superior Mod capable of firing up to 218W without breaking a sweat, or getting above room temperature, along with a temperature control suite that proves it mettle with each use. 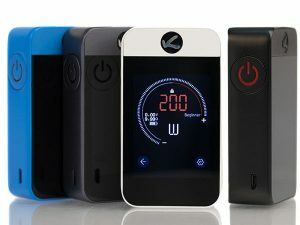 It offers power curve outputs, and a suite of safety protections that put it in the league of the $200+ Vape Mods like the SX Mini. The Cylon 218W Vape Mods use the same dual-18650 batteries that drive the SX Mini, accessed the same way, with a hinged battery door located at the bottom base of the Cylon. 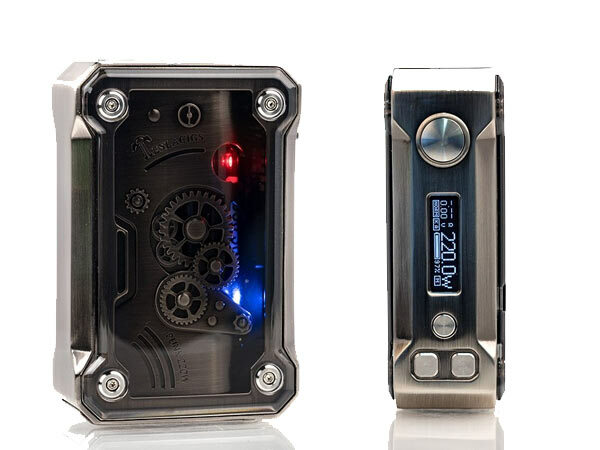 Lastly, the Smoant Cylon has an instant fire speedof approximately 0.015 seconds when pressing the tactile fire button, and firmware upgrades when available. Choosing the SX Mini at more than $200 is ideal for some, but for those looking for similar aesthetics and performance for a quarter of the price, the Smoant Cylon has to be considered. Whether you’re seeking a pure power experience, or the intricacies of extensive temperature control adjustments, there’s likely a mod on this list to suit your needs. The mid-wattage vape mod category is the most-common one for a reason – these tend to be the devices that hit users’ needs for form, function, power and customization, and value. And we feel the 10 devices above hit all these marks, and more. Choose a mod from this list based on looks, wattage, internal chip, value or the price, and we can assure you that whatever your decision, the Vape Mods will not be a cause for remorse. 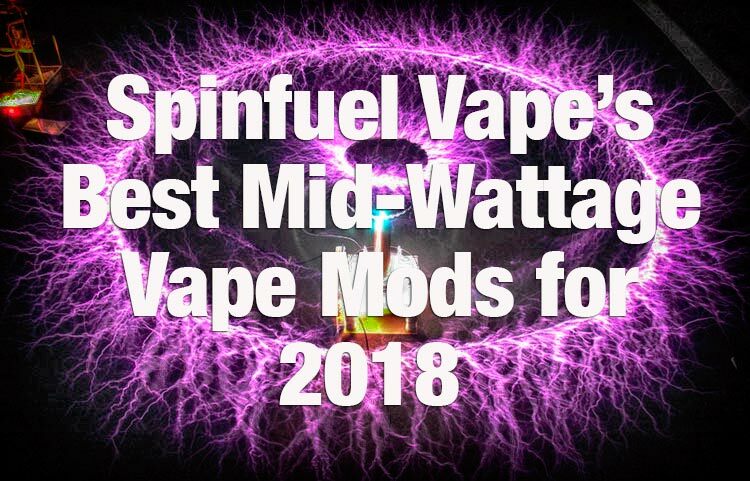 As always, these lists are subjective – especially coming from a category as expansive as mid-wattage vape mods. Of the hundreds of vape mods that fall into this category, these are OUR best picks. Let us know which ones you wish made the list, and the ones with which you might disagree. That’s the beauty of vaping – there’s no shortage of products to discuss, and conversations to be had. So, start one with us – we’d love to hear from you.